GoPro is currently working on new firmware for its Fusion 360 camera that will add 5.8K recording, among other new features aimed at high-end users. Currently available in public beta, firmware version 2.0 offers a new 5.8K mode that results in 5.6K output when the two hemispheres from the Fusion’s dual lenses are stitched together. This offers a modest increase over the 5.2K resolution previously offered. This isn’t the first time we’ve seen a company bump up the resolution on a 360 camera with a firmware update. Rylo also added 5.8K support late last year, although in that case, we found the quality to be limited by heavy compression. 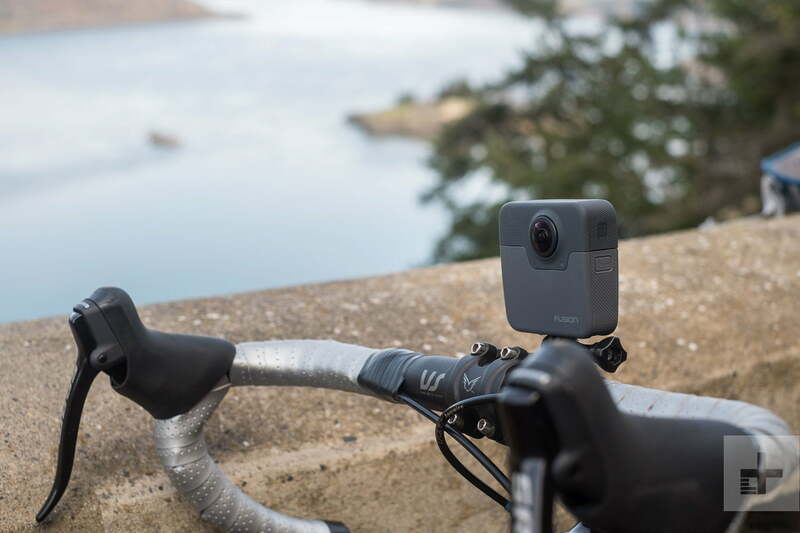 Whether Fusion users will actually benefit from the additional resolution may be debatable, but in our experience, it really does take a lot of pixels to make 360 videos look good, so GoPro is at least moving in the right direction. Beyond increasing resolution, firmware version 2.0 adds support for 24 frames per second video (and 24 fps time-lapse video). This will help television and film productions more easily integrate Fusion footage into their projects, as 24 fps is the cinematic standard. Additionally, GoPro is adding the option to shoot RAW photos for time-lapses and in night mode. Previously, time-lapses could only be recorded as compressed JPEG sequences. This will give advanced users additional latitude for color correcting their time-lapses in post. Beyond the camera firmware update, GoPro also rolled out updates to its Fusion Studio desktop software. Version 1.4, also currently in beta, adds support for the new 5.6K/24 fps mode as well as enhanced image stabilization, especially for 24 fps footage, GoPro said. GoPro also said stitching quality has been improved for clips with extreme exposure differences between the hemispheres, something that we found to be an issue in our Fusion review. Numerous quality-of-life improvements have also been added, such as the ability to split long videos into chapters to cut down on import time. The GoPro VR plugin has also been updated to work with Adobe Premiere CC 2019. Users comfortable working with beta software can download Fusion firmware 2.0 and Fusion Studio 1.4 today from GoPro. The updates are free and available on MacOS and Windows.